Click here to purchase Kadence Membership and gain access to all our themes and plugins. Built to use CSS animations with as little overhead as possible. This makes for fast loading and smooth animations with great browser support. 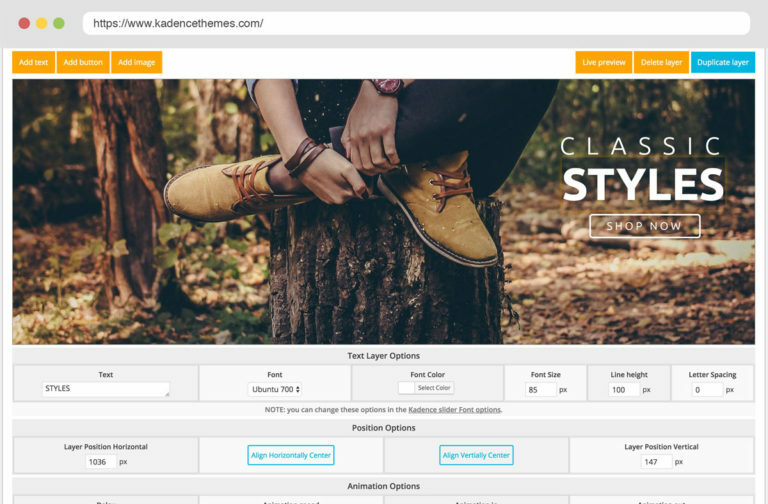 The Kadence Slider Pro is used in all of our theme demo sites, so browse around the demos and see all the awesome sliders it can create. 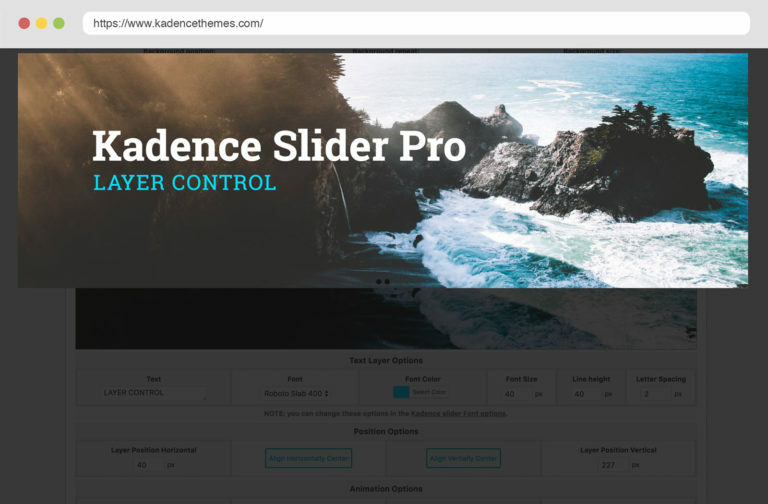 The Kadence Slider Pro has a powerful and easy-to-use interface. Easily add unlimited text, images, or button layers to each slide and drag them into position while being able to control sizes, fonts and colors. You can also control how and when each layer animates into the slide. 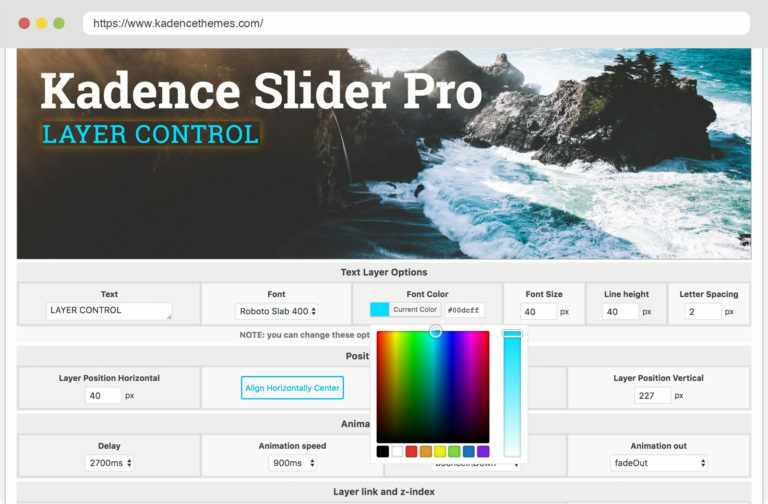 The Kadence Slider Pro can easily be previewed right inside the slider edit interface. Then when you're ready to place it in your site, the slider integrates easily with our themes. It includes an easy to use shortcodes to place the slider anywhere on your site. Easily import example sliders from our demos to get your project started quickly. 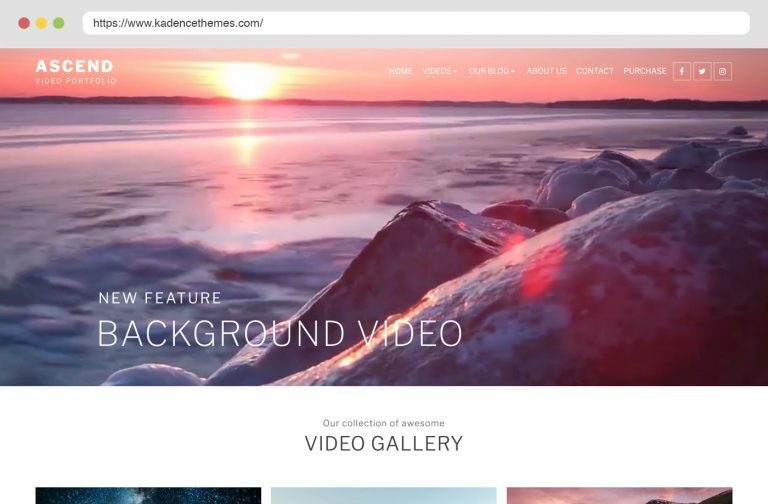 With the Kadence Slider Pro you can add video backgrounds to the slides, creating a powerful experience for your users.